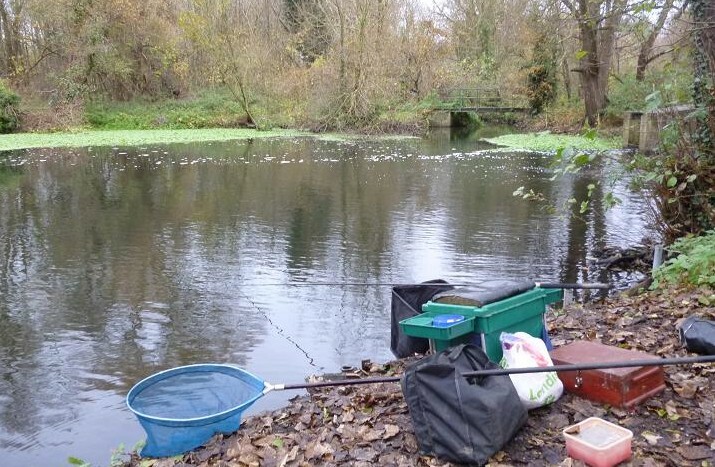 A rare chance to fish a river of my boyhood came this weekend, when a local fishing club offered the use of it’s West Drayton water in exchange for my club’s stretch of the Thames at Windsor. 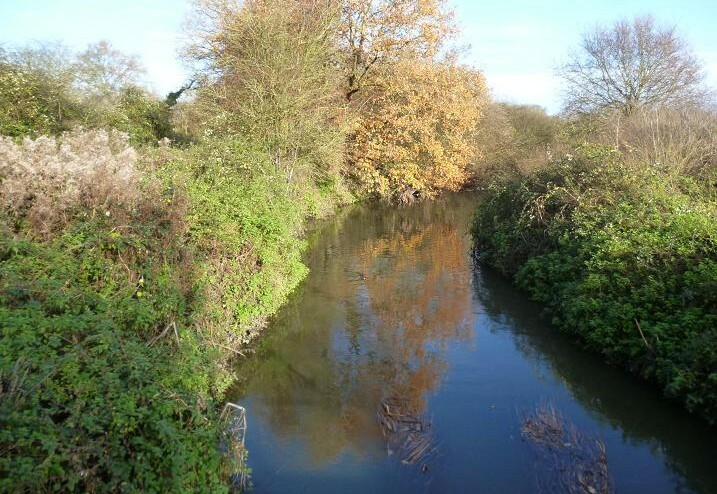 As a twelve year old, I used to cycle the five miles from my home to fish for dace, where the clear water of the river Frays joined the Colne, a few hundred yards below Thorney Mill. At that time stone loach could be caught under the Frays bridge by lifting stones among the clean gravel, while flyfishermen were a common sight pursuing brown trout. 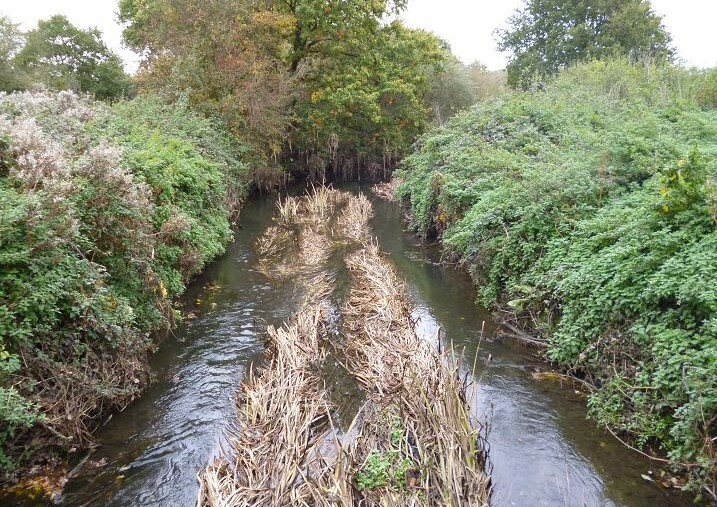 Continued upstream pollution events during the 1960’s, transformed these once magical rivers into evil smelling, fishless drains for over a decade. 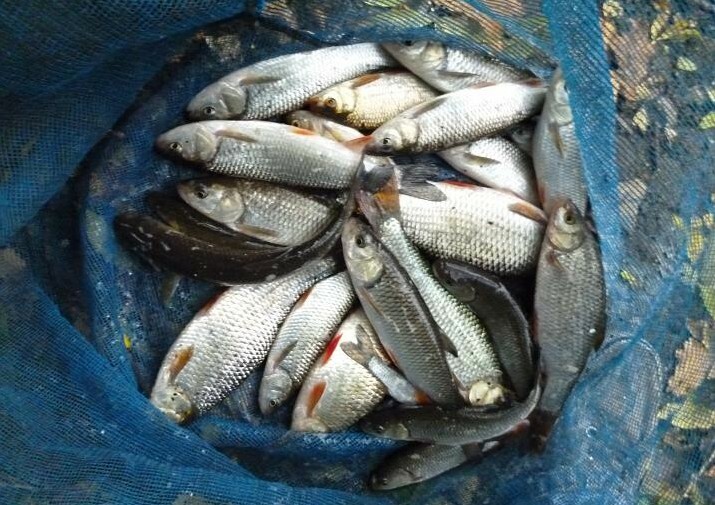 Now with many of the factories gone and water treatment improved, the Colne and Frays are back to their former glory, large bream, chub and barbel the main targets for anglers. Meeting in the carpark on a cold Sunday morning, this was a new piece of water to most of the club, the match secretary setting off upstream to search out the swims and place a numbered peg in each. 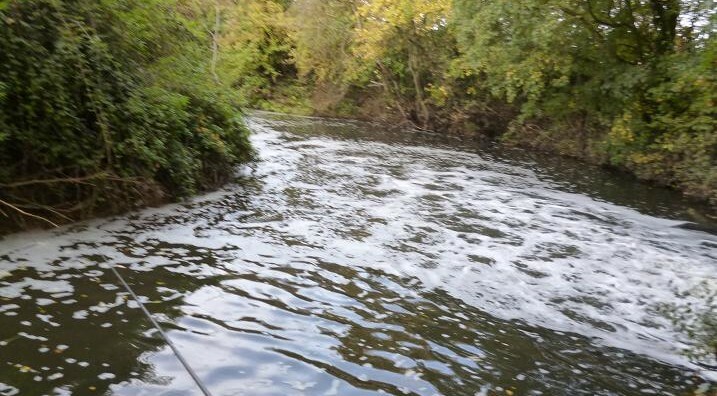 After agreeing to join in the club match pools to fish the fast flowing Frays, there were more anglers than swims available, so extra pegs were put in on the two weirs, which spill off the main Colne above Thorney Mill. It was my luck to draw the lower weir, where I was faced with near static clear water, more suitable to the pole, than the stick float rod I’d brought. Setting up with a 4 No 4 ali stemmed stick float, I plumbed the depth at five feet and ran it through with a single red maggot on the size 16 barbless hook. Not a touch. Not even a minnow. After ten minutes, it was time to try a different approach. 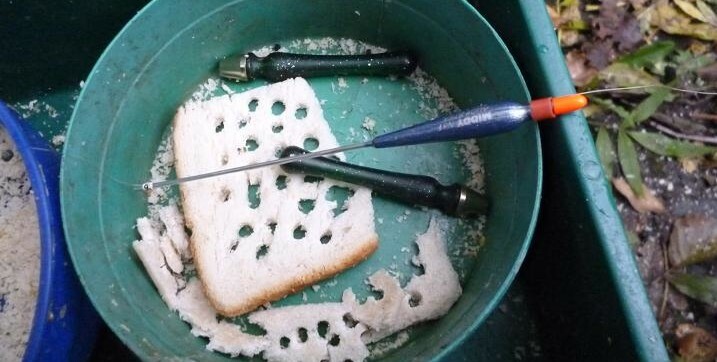 I’d also brought some food processed bread to use as heavy mash ground bait for the the Frays chub and squeezed up a small ball, lobbing it upstream. Baiting with a 5 mm pellet of punched bread and dropping the float in behind it, I watched as it made slow progress in front of me. A ring spread out from the float tip, then another. A bite! It went under. I missed the strike, almost too shocked to move. Cursing my brain freeze, the float was dropped back to the spot. Again it sank, but this time the rod bent over as a decent roach flashed silver, deep in the pool. The landing net slipped under this fish and the hook dropped out from the skin of the lip. Canal tactics with the pole would have suited this swim, likewise liquidised bread would have been the feed, rather than the chunky, coarse bread floating down to the fish. It would be a balancing act today, enough feed to keep them interested, while not feeding them off. Over the next hour the bites kept coming, taking time to develope, the roach were very cold to the touch, even with my frozen hands, striking early before the float had fully sunk well away, usually meant a miss. With the fish seven metres out, the pole would have been perfect, being able to strike directly above, against striking through four metres of water, while a chilling east wind was putting a bow in the line and dragging the float. Excuses, excuses, a bad workman always blames his tools, I knew what I was doing wrong, but couldn’t remedy the fact that my pole was at home in the shed. 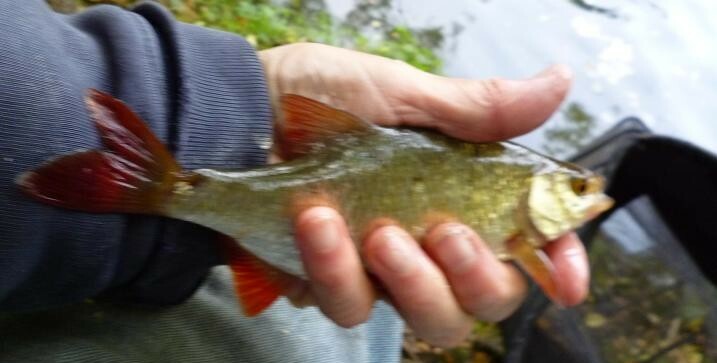 This was the best roach on the day, after which the bites got fussier and the fish smaller, tiny chub and minnows taking over the swim. Word filtered down the bank of some big fish lost and landed from the Frays, on the other side of the Colne and needed some better fish. With the main flow of the weir 20 metres out, I doubled up on float size to 8 No 4, making underhand casts to the lip of the weir, following down with pouches of red maggots. Despite the wind, I could hold back and mend line back to this heavier float, set deep at first dragging through, but when the bites failed to come, the float was shallowed to four feet. 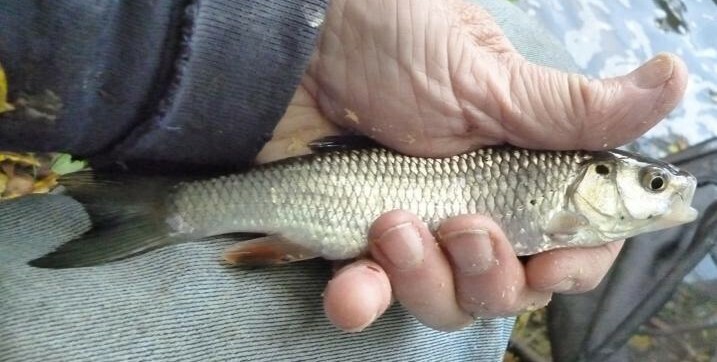 There was now a bite a cast, but it was chub, roach and perch of a few inches dipping and dithering the float, even minnows were pulling it under. Big chub, bream and barbel occupy this weirpool, but a couple of empty cans of luncheon meat on the bank pointed to their usual diet, treble maggot and lumps of bread flake not interesting them. The whistle blew for the end of the match and I packed my gear away, waiting for the scalesman, being the last in line. At least I had a few nice roach to show for a very cold day. The scales went round to 2 lb 3 oz and was pleasantly surprised to be placed second, being squarely beaten by a net of four fish, a 4lb chub included among an 8 lb plus bag. Lured back to the high street by Black Friday discounts, my wife hoped to complete her Christmas shopping in one hit. With me acting as her driver, she was dropped off in town, while I continued on to the northern outskirts for a visit to the equestrian centre, in the hope of a few rabbits for the freezer. I say hope, as it has been slim pickings since a concentrated effort in the spring had reduced numbers, some once hotspots, now showing no sign of habitation. 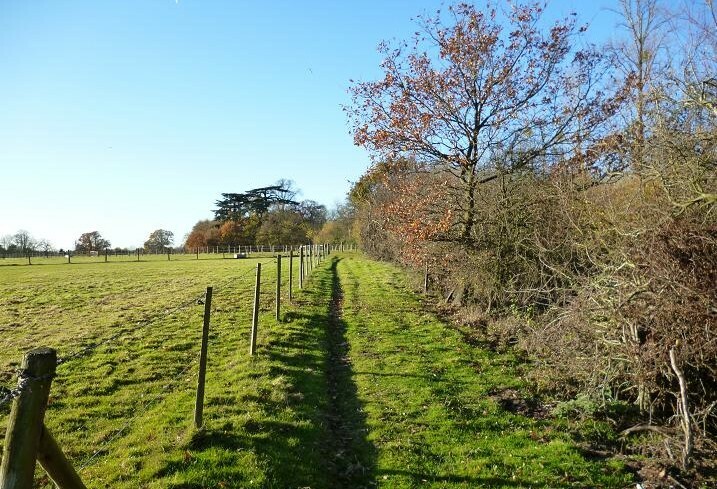 It was a glorious mild afternoon with the sun throwing long shadows, as I walked along the lane from the stables and noticed that the owner had been busy clearing a long abandoned heap of stable waste, which had rotted down to rich black compost. 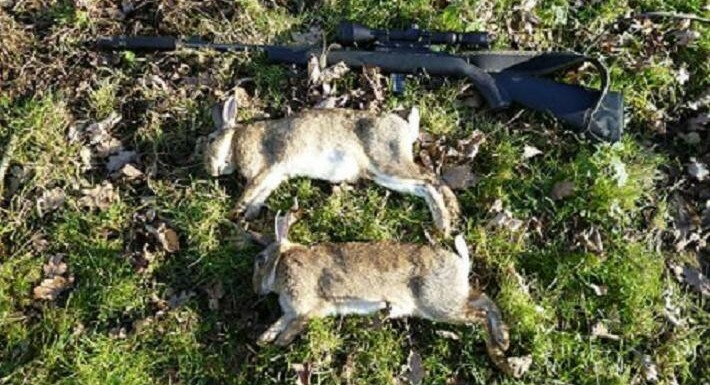 Once covered in grass and pock marked with burrows, it had been my first and last port of call for an evening potting rabbits from the comfort of straw bales with my Webley Viper air rifle. Those days and the rabbits have long gone, although the grassy bank occasionally hosted a few occupants and had always been worth a look. 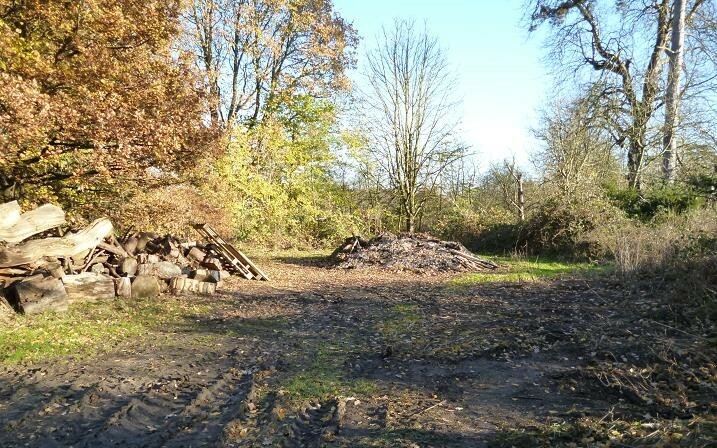 Further along the lane is the next point of interest, a small clearing which acts as a general dumping ground, where through the trees I spotted a pair of big rabbits with their heads down feeding. Keeping low, I crept round from the side, rifle raised and ready. One was already spooked and gone, but the other was sitting bolt upright to the left of the rubbish heap. The shot flipped the rabbit over and it lay there kicking, which is just a reflex, but I prefer another to the head to make sure. Walking forward, the second rabbit appeared from behind the heap, making for the brambles on the right, pausing at the edge long enough to be stopped in it’s tracks with another shot. That was a good start. After paunching and skinning, they were bagged up, before moving on toward the wood, searching for the dark rounded outlines of more rabbits along the ride at it’s edge. On such a mild day, I’d expected to see a few rabbits out sunning themselves, but no and walking the length of the ride looking for recent droppings, sadly confirmed the fact that rabbits don’t seem to live here anymore. 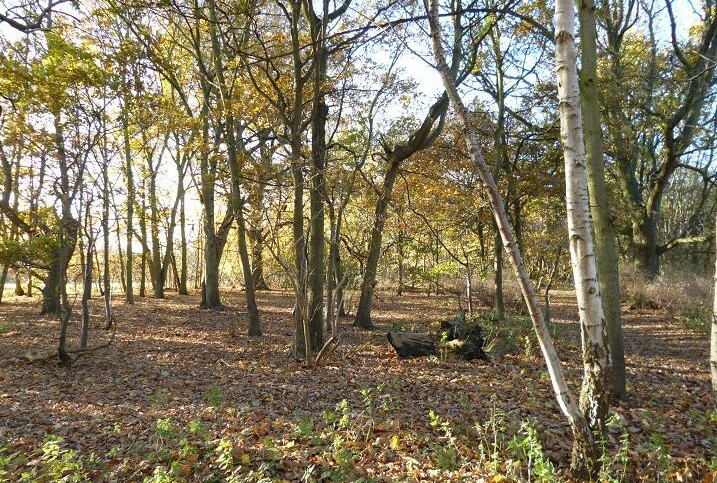 Moving into the wood, a rabbit bursting from undergrowth at my feet, bounded through the leaf litter to the safety of bushes at the end of the clearing. Following along the path, I stopped and listened for movement. It was close, probably intending to double back, and I slowly walked into the area. Only feet away it jumped up, invisible in the autumn undergrowth, startling me as it scurried through the bushes before stopping again. Even with the magnification down to the minimum 3, the image was blurred, but the shot was unmissable and I fired. It leaped in the air and disappeared from view again. I could not find it, crossing back and forth, it was gone, maybe down a rabbit hole at the base of a tree yards on from the spot. If hit at that range, the shock alone would have killed it. 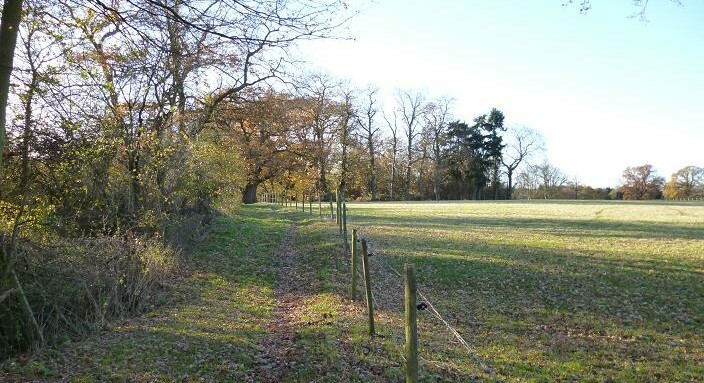 That was my last sighting of a rabbit, starting out on a traverse of the boundary round the 80 acres that produced nothing, even where I had shot two six weeks before, was empty. Thinking about it, the rabbits may have been keeping their heads down, but my walk was interrupted by a deep red fox, a pair of muntjac deer, pheasants, screeching green parrots, wood peckers, jays and magpies, while kites soared overhead and pigeons clattered out of the trees as I passed. Surrounded by houses, a hospital and schools, I am fortunate to have this among my permissions, even if my work here is almost complete. Back in the traffic, my wife was waiting at our agreed pick up point in the town centre, the sweet smell of perfume filling the car, her wrists testing grounds for expensive fragrances soon to be given as presents. 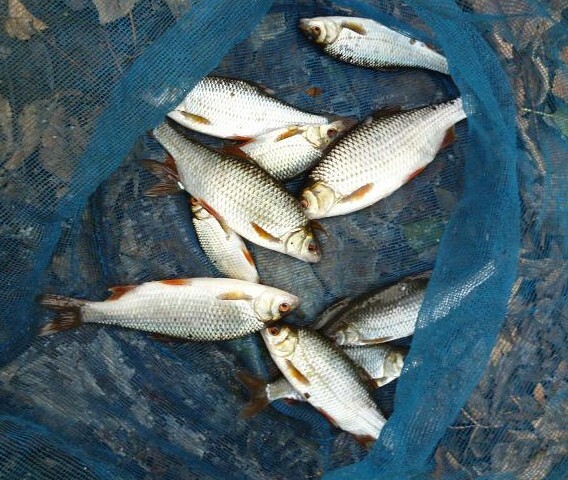 It’s not often you get anglers complaining, that they have too many fish in their pond, but that’s what happened at the recently formed Braybrooke Community Fishing Club, the members calling in the Environment Agency to destock some of the thousands of small roach and rudd populating their Jean’s pond. 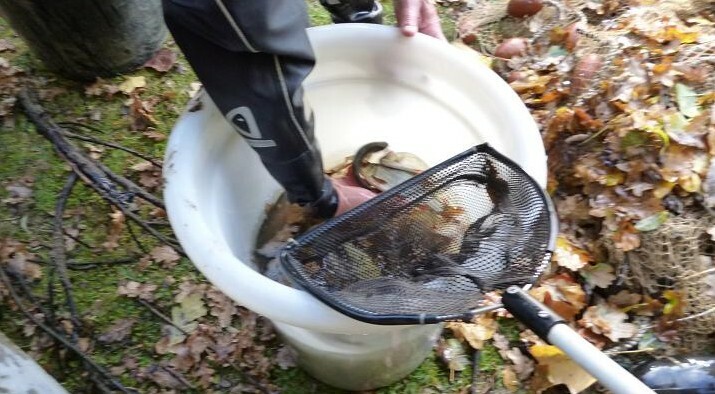 On my doorstep, I had not been aware of the water, only five minutes drive from my home, until invited to fish last month, when I had caught a mixed bag of fish, topped off by a four pound plus tench. I had no complaints of my catch. Invited down to watch the EA net the pond, I arrived to find agency worker Stuart persuading fish to leave the safety of a lily bed, before the net was drawn to the bank, revealing hundreds of their target small rudd and roach. 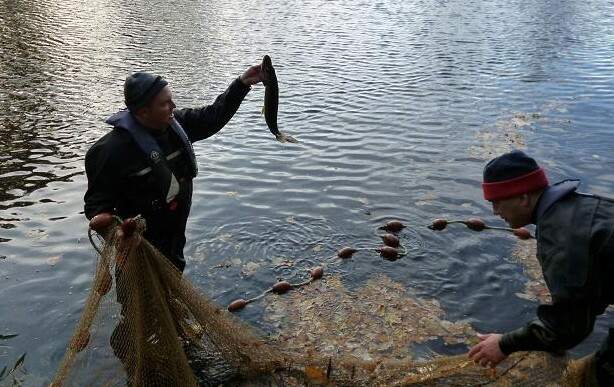 A raft of autumn leaves had hampered the netting operation, the first session resulting in plenty of leaves, but no fish, the second more successful, although there were a large number of quality fish in the net, many being returned to the water. 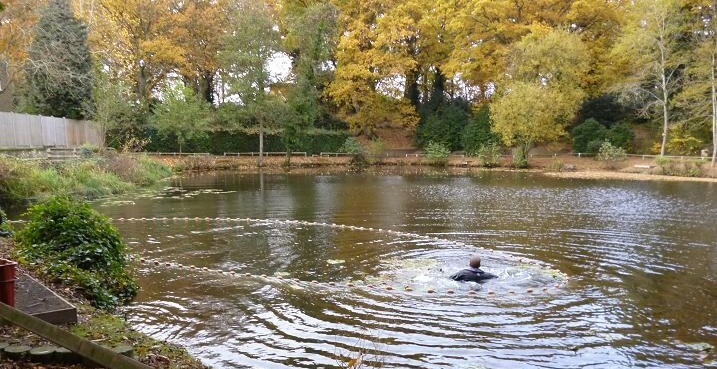 Dropping the lead weighted mesh in a circle from a boat each time, most of the near surface area of the pond was covered and the Environment Agency men were satisfied with their efforts, after four hauls. One of the reasons for the destocking, was the lack of natural predators apart from a few perch, the members having no knowledge of any pike in the pond for years, but the surprise of the morning was…..a pike. Where there is one pike, there must be more, the morning’s work providing only a brief snapshot of the pond stock. 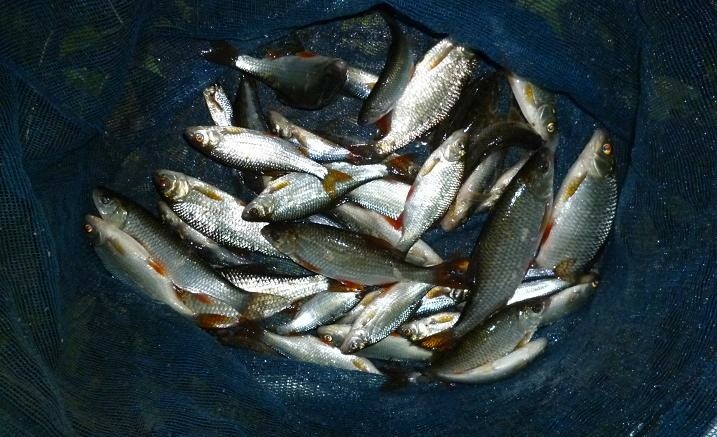 No tench, or crucian carp, of which there are many, came to light, but an estimated thousand small silver fish were put in the water tank ready for transportation to one of the other Bracknell council controlled ponds. Members will debate the need for the netting, but preparing for the morning, community workers with grappling hooks dragged a wide selection of detritus from the water, sunken logs, a dozen cycles, children’s scooters and shopping trolleys piling up on the banks before they were done. This once neglected gem is getting ready to shine again. 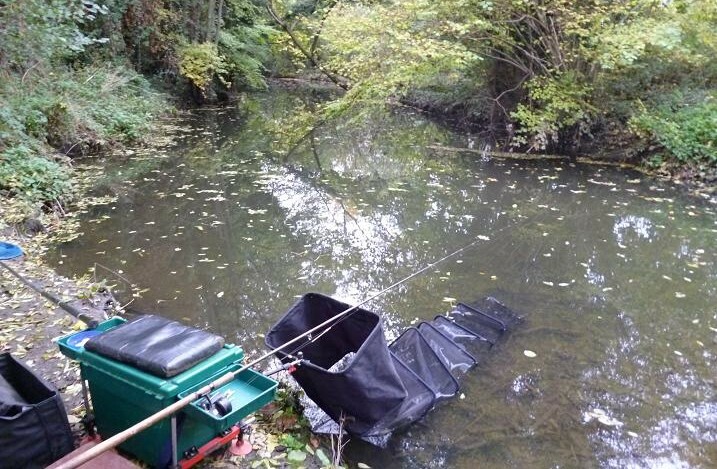 Less than a year into this community project, the club is going from strength to strength, attracting novice and returning anglers to the sport, while providing families the opportunity to meet with their neighbours, to take part in a variety of nature inspired events, which have included birds of prey, reptiles and bat walks. In an increasingly inward looking world of mobile phones, it is a pleasure to see bright eyed young children taking a keen interest in their surroundings. What a difference a year can make. 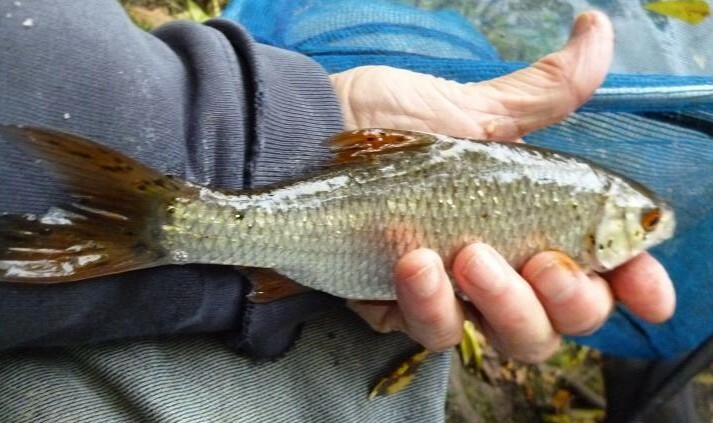 Last year I cut a new swim out on the bank of my local river and enjoyed a successful afternoon catching small chub, topped off with a near 2 lb perch. A planned return this week was scotched when I saw the river: there was no water, less than half the usual rainfall over the last six weeks has had a drastic effect. This same view last year was very different, being able to trot a stick float across the whole river. Intending to trot down to the overhanging tree from the left bank, it was clear that another swim was needed and headed off along the lane to the weir, where flowing water was guaranteed. Finding the popular peg unoccupied, the van was parked and my gear unloaded. 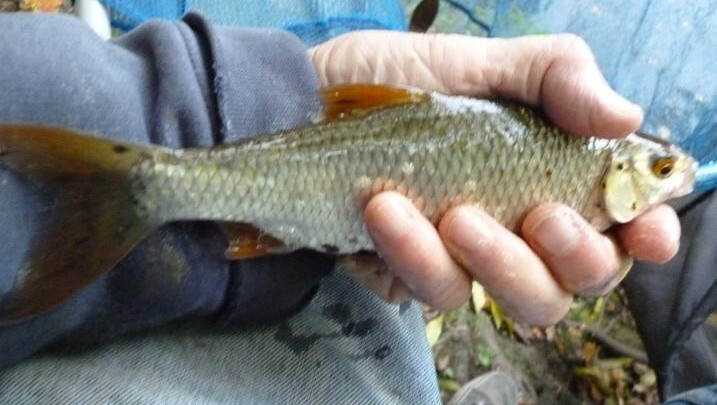 This swim has always provided plenty of action with roach and chub on the stick float, feeding into the river to draw fish from the outfall, but with levels down by two feet, the only movement was being caused by a back eddy. With a mix of liquidised sweet corn and bread feed pressed into a ball introduced into the eddy, I watched it sink, breaking up in the clear water to be swept back into the outfall on my bank. Casting in with a 6 mm bread pellet on size 14 hook, the the float drifted back toward me, and sank slowly. Not the bottom, a good roach exploded onto the surface, dashing out into the outfall and putting a good bend in the rod. The float was set at only two feet and tripping bottom, the fish taking right under the rod top and clearly visible on the strike, the next fish being a hard fighting chubl. With no depth these fish had nowhere to go, but out into the fast water. Alternating the bait between bread and sweet corn made no difference to the species, regular feed keeping the fish out in front of me. Another good roach close in, a pole would probably been better then the running line, but carp and much larger chub can put in an appearance at any time in this swim, so the rod and reel is a good insurance policy. 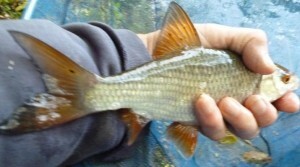 Rudd are also present, this one being the best in a succession of fish coming from under my feet in the first hour. When the bites began to slow, holding back the float down the edge of the foam kept them coming. After two and a half hours, the light was going, the temperature had dropped and I decided to call it a day, around 5 lb of fish filling the net.